Armed with explosive dynamics that won't disrupt your home's decor, this Klipsch THX Ultra2-certified in-ceiling speaker creates realistic audio experiences that rival those found in large movie theaters and concert halls. Works well with multi-channel movie and music presentations playing up to reference levels in rooms of 3,000 cubic feet or larger. 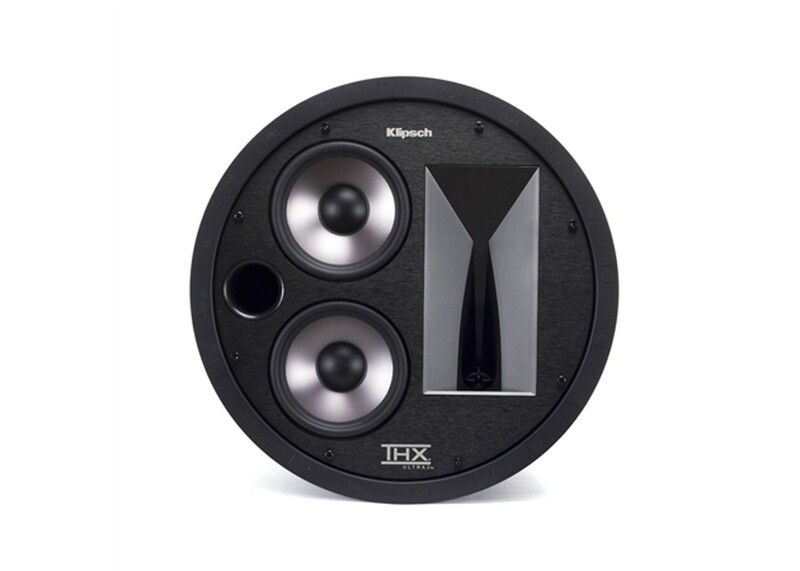 Employs dual 5.25-inch Cerametallic woofers that operate in an enclosed tuned-port chamber. These exclusive woofer cones offer superb damping characteristics that will not flex or resonate at frequencies within the drivers’ operating ranges, resulting in consistent bass response regardless of the installation or ceiling air space. A 1-inch titanium tweeter in a patented 60-90-110-degree horn that features Variable Coverage Technology, or VCT, allows the speaker to create precise imaging and localized sound fields. Timbre matched to all of our THX-certified products, so you can mix and match to create an unbeatable, discreet stereo or home theater system that’s just right for you.